Nationwide, the medical standard of care is for properly trained, licensed, certified medical personnel to perform medical procedures. Care Net affiliation requires that centers only utilize medical professionals to perform medical procedures, commensurate with their training, licensing, or certification. 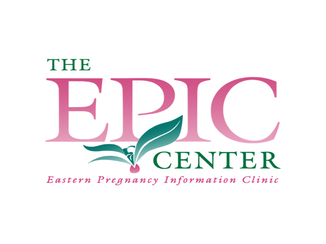 The EPIC Center adheres to a Biblical standard of care. We, as specified by Care Net, recognize the following professionals as eligible to perform our limited obstetrical ultrasound: registered diagnostic medical sonographers (RDMS), registered nurses (RN), physicians, physician assistants, nurse practitioners, and x-ray or radiologic technicians. Our ultrasounds are provided under the direction and supervision of a licensed physician. Our ultrasounds are limited because they are not comprehensive and are solely meant to verify three things: pregnancy, your babies heartbeat, and Ectopic/Intrauterine development. Schedule a pregnancy test with us. If you'd like to receive ultrasound services, you must undergo a pregnancy test with us for our records. Be sure you are at least 8 weeks pregnant. If you are uncertain, come in for a pregnancy test. If you have previously seen a physician for your pregnancy or are receiving prenatal care at a medical facility, we will not be able to preform a sonogram.